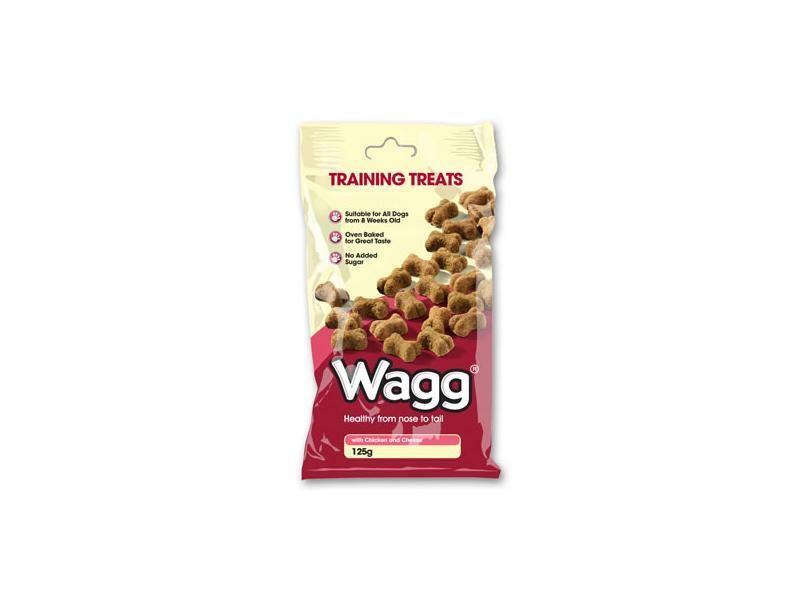 Wagg Training Treats are the ideal treat for all training purposes. Suitable for puppies and with added yoghurt for calcium. With no added sugar, no artificial colours or flavours and oven baked for a great taste. Wheat, Beef Meal (14%), Glycerine, Poultry Meal (4% chicken), Lamb Meal (4%), Fat, Yoghurt, Whey Powder, Minerals. Vitamins: Vitamin A 10,000 iu, Vitamin D3 1,000 iu, Vitamin E (alpha tocopherol acetate) 60 iu. Trace Elements: Calcium iodate 1 mg, Cupric sulphate pentahydrate 5 mg, Manganous sulphate 15 g, Zinc sulphate 75 mg, Sodium selenite 0.15 mg. Antioixidant, Colours, Preservatives. Moisture 20%, Protein 21.5%, Fat Content 9%, Crude Fibre 1%, Crude Ash 7%. Wheat, Beef meal, Glycerine, Poultry meal (9.7%), Cheese (4%), Fats, Minerals. Nutritional Additives: Vitamin A 10,000 iu, Vitamin D3 1,000 iu, Vitamin E (all-rac-alpha-tocopheryl acetate) 60 iu, Calcium iodate 1 mg, Cupric sulphate pentahydrate 5 mg, Manganous sulphate 15 mg, Zinc sulphate 75 mg, Sodium selenite 0.15 mg. Antioixidant, Colours, Preservatives. Moisture 20%, Protein 24.3%, Fat Content 9%, Crude Fibre 1%, Crude Ash 7.7%. 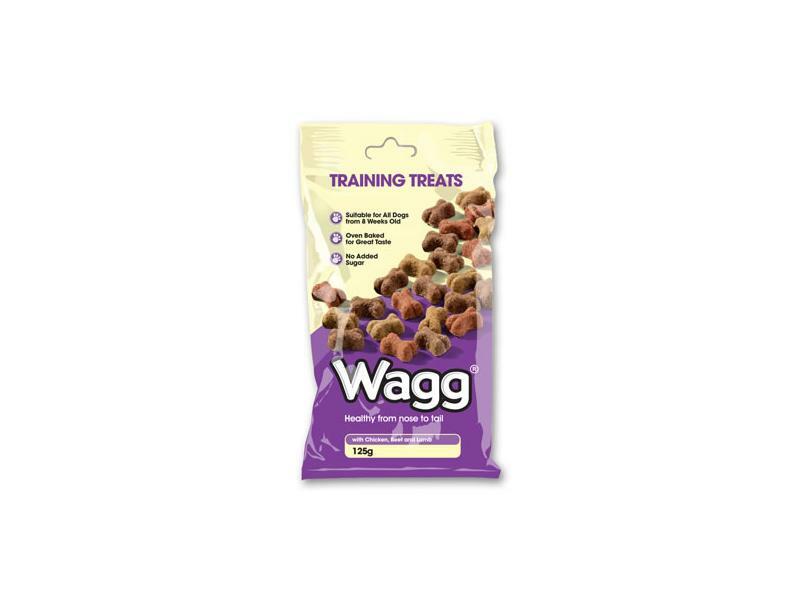 There are currently no questions for Wagg Training Dog Treats - be the first to ask one!